This section provides an overview of Victoria's geological history from the Neoproterozoic to the present. This reflects its source: the Tasman Fold Belt System in Victoria by VandenBerg et al. 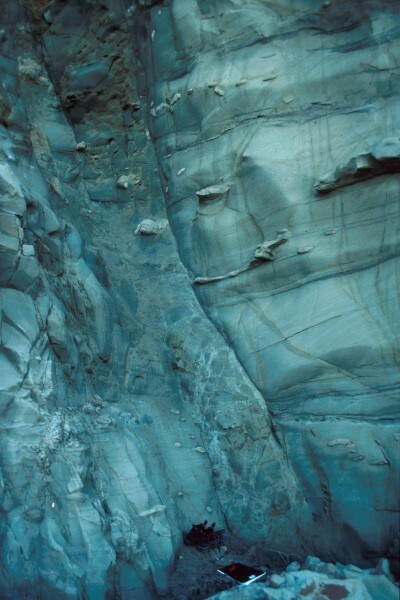 (2000), a Geological Survey of Victoria Special Publication that deals with the geology of the Tasman Fold Belt, whose history ceases in the mid-Carboniferous in Victoria. References to the source material have been omitted here as they are fully cited in the Special Publication. Post-Carboniferous discussion is by Vince Morand, who also supplied numerous images. A report of the entire history of Victorian rocks can be found in The Geology of Victoria (3rd Edition). If you are unsure of the meaning of the terms used by geologists, look here for definitions of many of the terms used. The Tasman Fold Belt System in Victoria records a clear sequence of events associated with the building of southeastern Australia. 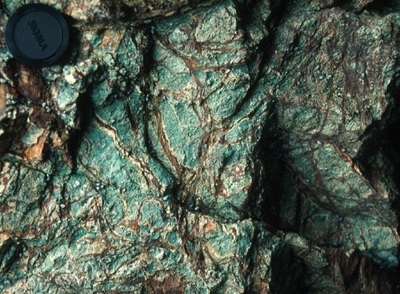 It reveals that mineralisation and magmatic processes are intimately linked with the tectonic development of the region. 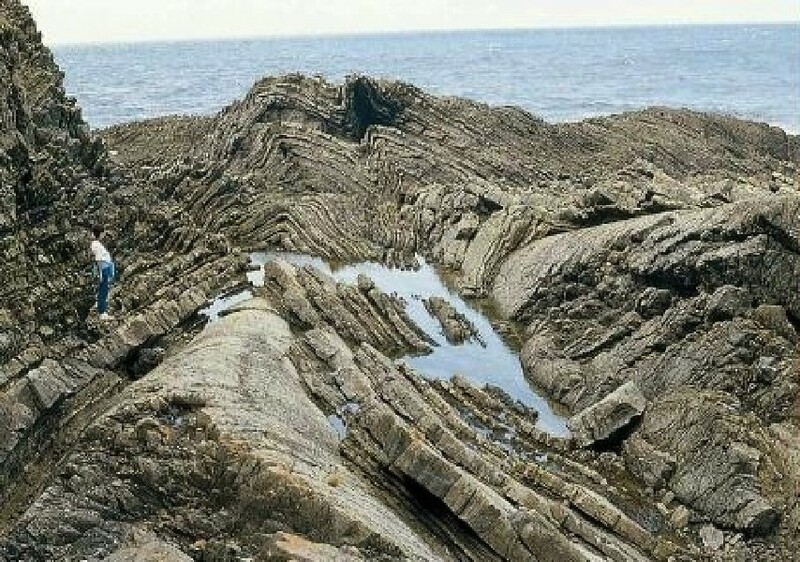 The history is dominated by east–west shortening of predominantly oceanic sedimentary and volcanic rocks and their resultant folding, faulting and uplift. Recently, it has become increasingly apparent that major north–south movements have also been involved in constructing eastern Australia. The Palaeozoic basement is traversed by thrust faults more or less parallel to the north–south structural grain. The largest faults separate rocks with different ages and structural histories, and subdivide Victoria into three main structural rankings consisting of two fold belts—Delamerian and Lachlan, two terranes in the Lachlan Fold Belt (Whitelaw and Benambra), and ten structural zones (Glenelg, Grampians–Stavely, Stawell, Bendigo, Melbourne, Tabberabbera, Omeo, Deddick, Kuark, Mallacoota). The Moyston Fault is the most important fault as it forms the terrane boundary between the Delamerian and Lachlan fold belts. These two show important differences. 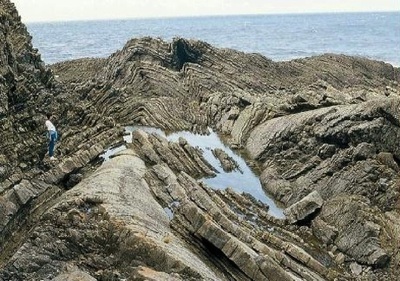 The Delamerian Fold Belt is mainly composed of Neoproterozoic–Cambrian rocks and was deformed in the Late Cambrian Delamerian Orogeny whereas the Lachlan Fold Belt contains mainly Cambrian–Devonian rocks with main deformations occurring in the Late Ordovician–Carboniferous interval. 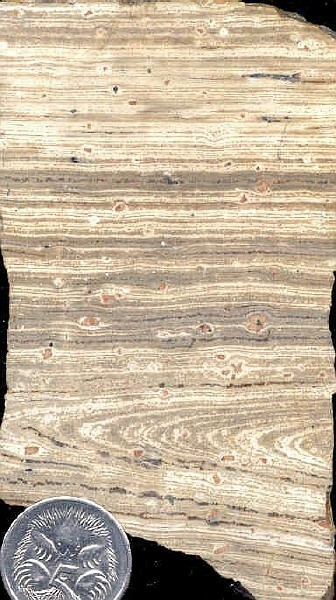 The first regional deformation to affect the Lachlan Fold Belt was the Benambran Orogeny, about 50 M.y. after the Delamerian Orogeny. 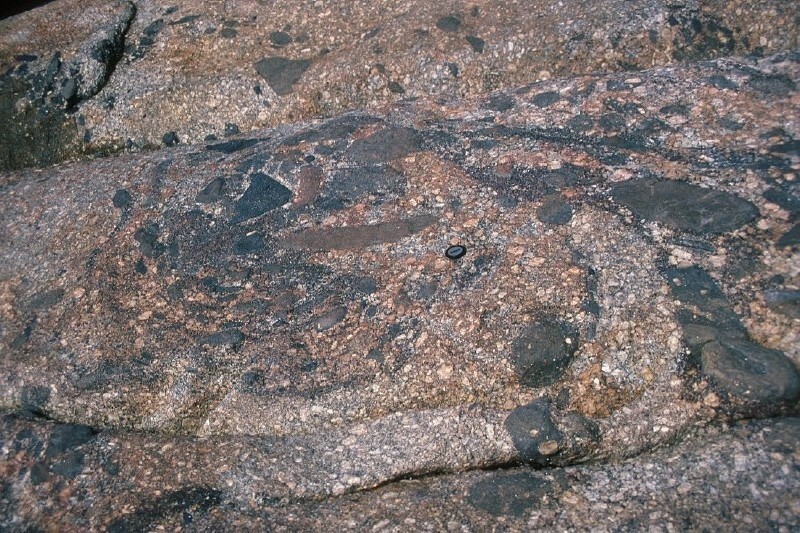 Granites comprise 20% of the total exposed area of the Lachlan Fold Belt and fall within an age range of 440 to 350 Ma. 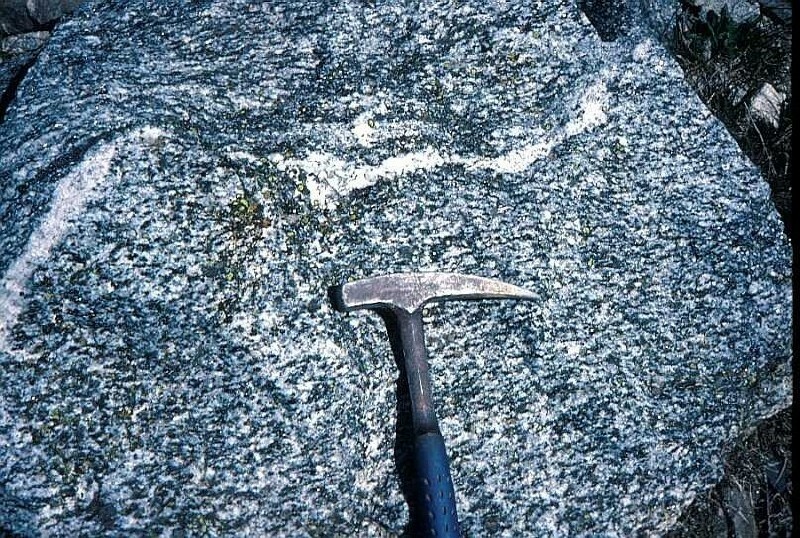 Volcanics associated with the granites are also widespread and cover an additional 5%. 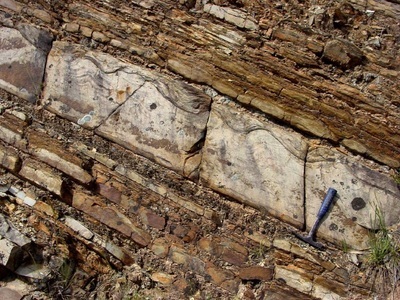 Blocks of older crust consisting of Neoproterozoic–Cambrian rocks, such as the Selwyn Block in central Victoria, were deformed during the Late Cambrian Tyennan Orogeny prior to being incorporated into the Lachlan Fold Belt. The second major structural break in Victoria is the Governor Fault, which occurs along the eastern side of the Selwyn Block. 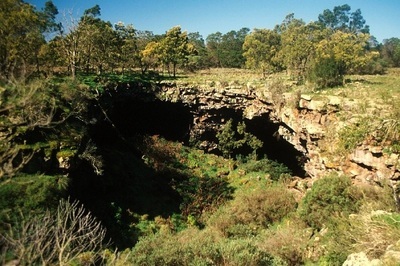 This fault divides the Lachlan Fold Belt into two terranes, the Whitelaw Terrane to the west and the Benambra Terrane to the east. The main difference between these is that orogen-parallel (north–south) transport was more prevalent in the Benambra Terrane, whereas convergent east–west transport orthogonal to the orogen was dominant in the Whitelaw Terrane. 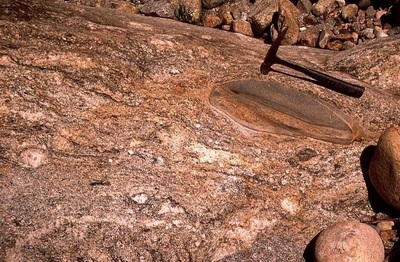 The oldest rocks of mainland southeastern Australia are Late Proterozoic or Cambrian volcanics, volcaniclastics and turbidites. Only the igneous rocks are exposed in central Victoria, in isolated belts at Waratah Bay, Philip Island and the Barrabool Hills and in a series of structural windows in the east of the Melbourne Zone. The volcanics, along with the Delamerian Fold Belt rocks of the Glenelg and Grampians–Stavely zones, have been affected by an early deformation that is not present in any of the Lachlan Fold Belt rocks. Images of total magnetic intensity data clearly show that the Central Victorian rocks are northern extensions of the Tasmanian crust. The structural windows in the Melbourne Zone imply that this older crust occurs extensively beneath central Victoria. The Glenelg Zone extends from an undefined margin west of the South Australian border, east to the Yarramyljup Fault. It contains Cambrian volcanics with ultramafic and within-plate basalt and midoceanic-ridge basalt (MORB) associations, and turbidites of the Moralana Supergroup. 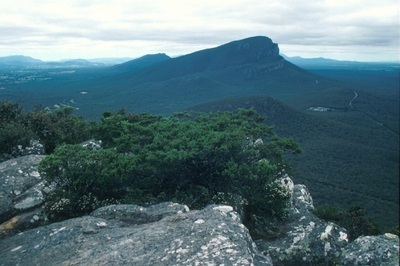 The Grampians–Stavely Zone extends east from the Yarramyljup Fault to the Moyston Fault. It consists of the largely buried Cambrian tholeiite–boninite rocks, and poorly outcropping Cambrian calc-alkaline volcanics and Glenthompson Sandstone. Both zones represent a poorly understood collage of volcanic and sedimentary rocks accreted to the older craton as a series of northwest-trending fault-bounded strips. 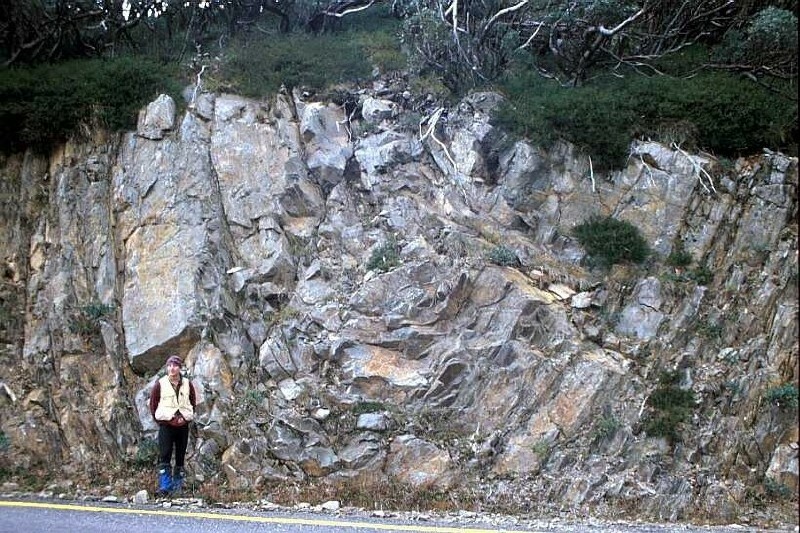 Folding, faulting and regional metamorphism of the rocks of the Glenelg and Grampians–Stavely zones and the Selwyn Block occurred in the Cambrian. Although probably the same event, this is termed the Delamerian Orogeny in mainland Australia and the Tyennan Orogeny in Tasmania (and its northern extension—the Selwyn Block—in central Victoria). East of the Moyston Fault, Cambrian volcanics not affected by Cambrian deformation are exposed in the Stawell, Bendigo and Tabberabbera zones along the largest faults. These faults penetrate to an inferred major mid-crustal décollement lying within the Cambrian volcanics. 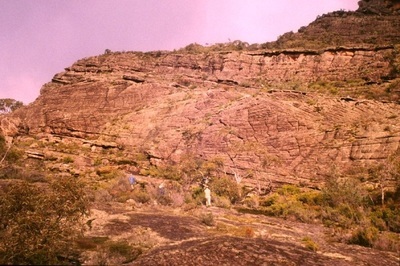 The rocks are mainly tholeiitic basalts and less commonly boninites and ultramafics that are interpreted to be the basement to much of the Lachlan Fold Belt. Cambrian sedimentary rocks form the bulk of the exposure in the Stawell Zone, where they consist of thick turbidites (St Arnaud Group). Farther east, however, they overlie the Cambrian volcanics in long narrow belts and are a relatively condensed sequence of mudstone and chert. 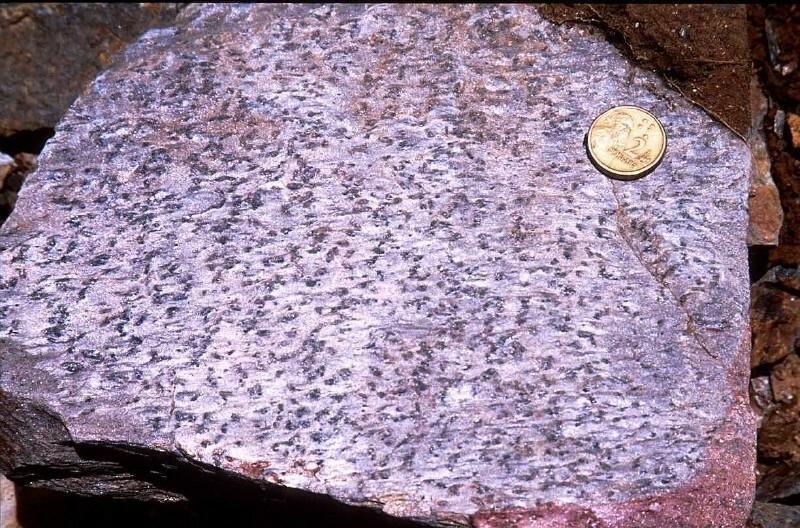 During the Late Cambrian and Ordovician, the Cambrian tholeiitic volcanics were covered by an extensive sheet of quartz–mica turbidites deposited into a deep marine environment along the eastern edge of the Australian craton. In the central west, the St Arnaud and Castlemaine groups comprise the bulk of these rocks in the Stawell and Bendigo zones respectively. 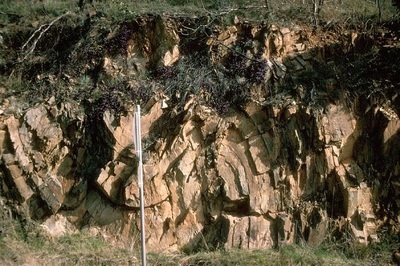 Quartz–mica turbidites also dominate the Lower and Middle Ordovician Adaminaby Group which extends over much of the eastern Lachlan Fold Belt. The only area with restricted Lower and Middle Ordovician sedimentation was in the Melbourne Zone, especially in the east where sediments are extremely condensed and include shale, sedimentary phosphate and, on the Waratah Bay Platform, chert and a marginal marine marlstone. The Waratah Bay Platform contains no record of sedimentation between Late Ordovician and mid-Early Devonian time, although redeposited Silurian limestone derived from it occurs in basinal sediments farther north. The interval beginning in the Early Silurian and lasting to the end of the Early Devonian was one of great complexity in the Lachlan Fold Belt. Much of the protracted Benambran Orogeny occurred early in the Silurian, and in the Benambra Terrane it was a period of extension and basin formation alternating with strong deformation during the Bindian and Tabberabberan orogenies. In strong contrast with the regions both to the west and east, the Melbourne Zone remained unaffected by the Benambran and Bindian orogenies, a factor which is very important in reconstructing the Palaeozoic history of the Lachlan Fold Belt. the Kuark Metamorphic Complex in the Kuark Zone. Shortening across the Stawell and Bendigo zones during this orogeny was accommodated by closely spaced tight meridional folds with near-vertical hinges, and by high-angle thrusts spaced at regular intervals, with a consistent reverse displacement. 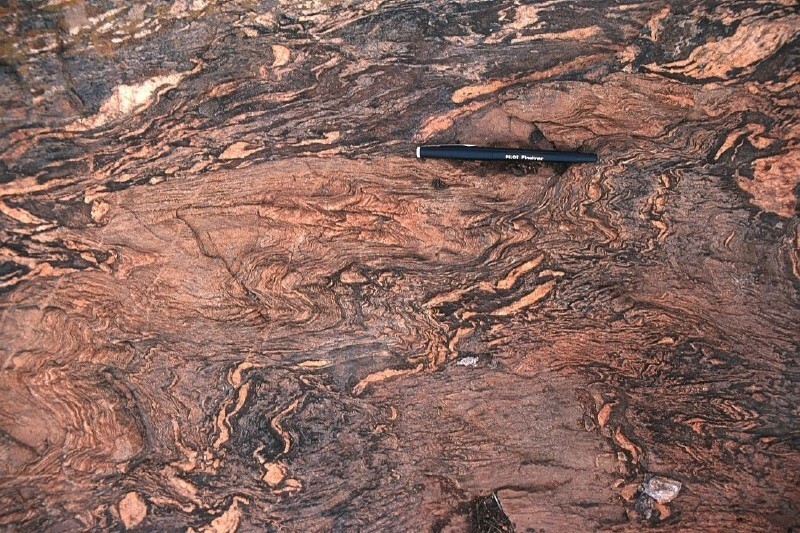 Despite the tight folding, the overall enveloping surface dips gently so that there is only minor variation in the metamorphic grade and the stratigraphic levels exposed. In the Bendigo Zone the rocks range from zeolite to lower greenschist facies, and through most of the Stawell Zone the outcrop is typically lower greenschist facies. Metamorphic grade is much higher in the western 15 km of the Stawell Zone, rising to amphibolite facies in the hanging wall of the Moyston Fault, where there are abundant interleaved fault slices of mafic rock. 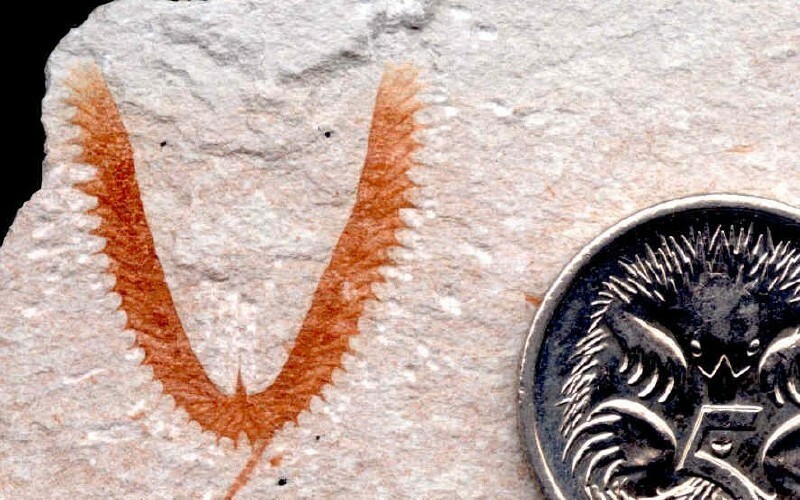 In the Melbourne Zone, marine deposition continued without interruption from the Cambrian to the Early Devonian, in the later stages in a foreland basin setting. 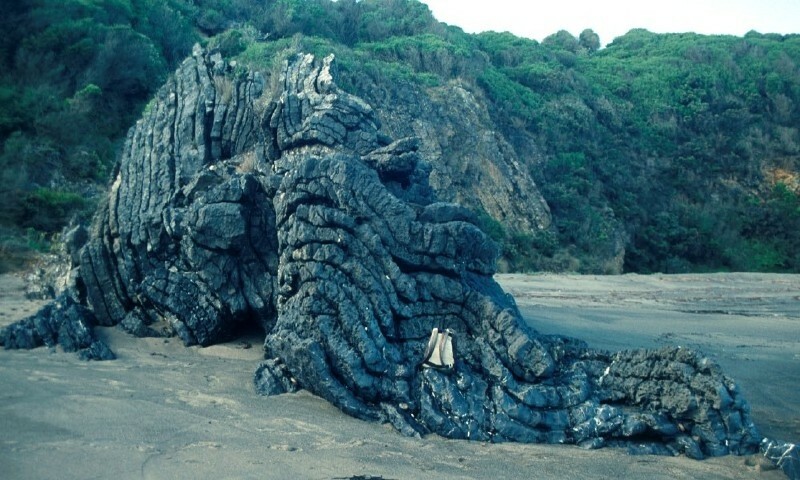 In eastern Victoria, tectonism in the Benambran Orogeny began in the Late Ordovician in the Narooma Accretionary Complex and was more strongly expressed by a regional facies change, uplift, and local deformation, at about the Ordovician–Silurian boundary at 440 Ma. 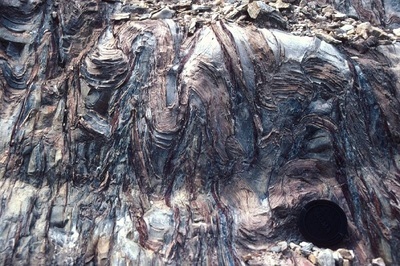 During continuing deformation Llandovery rocks were folded and faulted together with Ordovician rocks at about 430 Ma (end of the Llandovery) and the Omeo Metamorphic Complex was generated. It was followed by the intrusion of I- and S-type granites with ages of about 425 to 420 Ma. 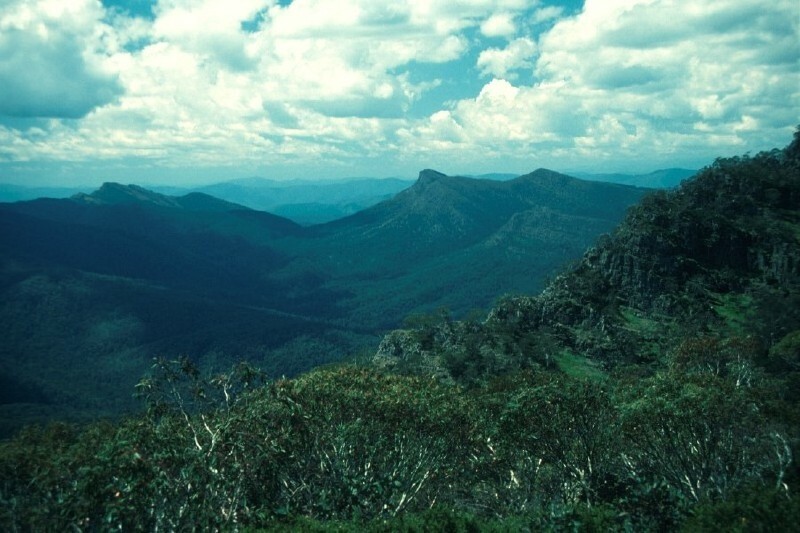 In the Late Silurian, deformation of the Grampians Group to form a thrust and fold belt commenced, and, together with widespread reactivation of western Lachlan Fold Belt faults, may represent the culmination of the effects of the Benambran Orogeny in western Victoria. The evolution of eastern Victoria at this time is quite different to western Victoria, and must be seen in the context of prolonged horizontal displacement of eastern Victoria, travelling south with respect to the Gondwana landmass. During and following the Benambran Orogeny, large-scale faults subdivided eastern Victoria into a series of dislocated blocks (structural zones and subzones) that show a prolonged history of differential horizontal displacement during the remainder of Silurian and Early Devonian time. 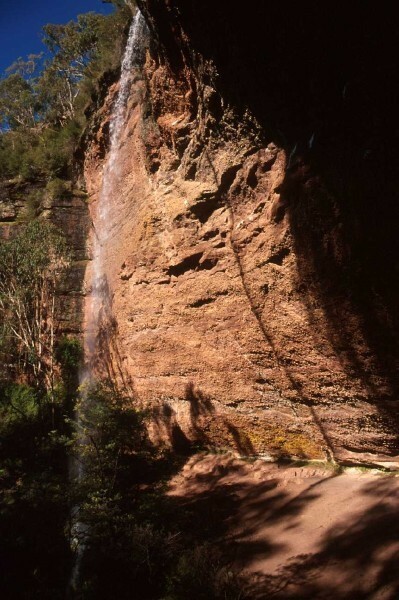 Crustal extension and horizontal displacement in the Late Silurian produced the Cowombat Rift, consisting of the Limestone Creek and Wombat Creek grabens. These grabens contain mainly shallow marine rhyolitic lava and high-level intrusions overlain by marine to subaerial volcaniclastic siltstone, sandstone and conglomerate below fine-grained turbidites with stratiform lenses of altered andesitic lava and limestone. In the Melbourne Zone, shallow to deep marine sedimentation (Murrindindi Supergroup) continued without interruption through the Silurian and Early Devonian. At the end of the Silurian, rocks in the Cowombat Rift were faulted and tightly to isoclinally folded parallel to the rift margins, presumably controlled by the rigid rocks on the rift flanks. 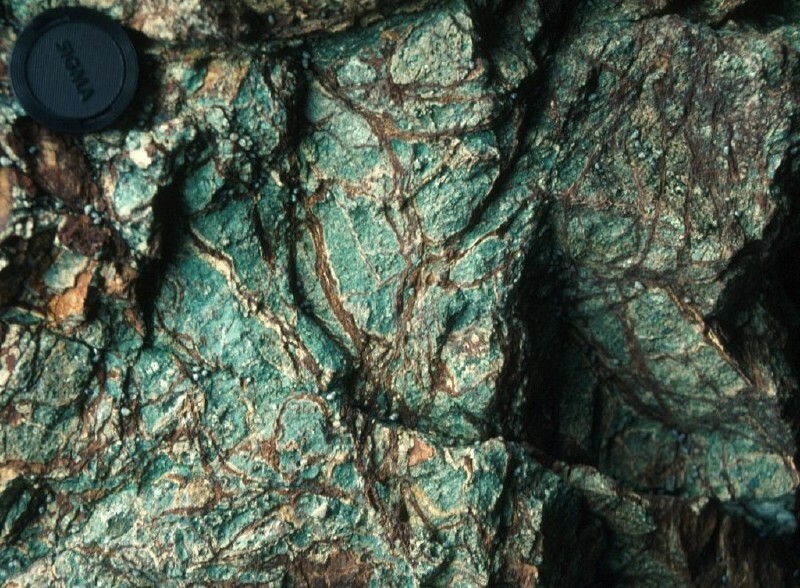 The volcanics were metamorphosed to lower greenschist facies and often were strongly cleaved. New fabrics overprinted Benambran fabrics in the Omeo Metamorphic Complex. The most significant structures formed during the Bindian Orogeny include the Kiewa, Kancoona, Ensay and Indi faults. The deformation occurred in a regime of mainly strike-slip movement. Several hundred kilometres of displacement between the Benambra and Whitelaw terranes was taken up by inferred dextral strike-slip displacement along the Baragwanath Transform. Elsewhere in the western and central parts of the Benambra Terrane, the effects of the Bindian Orogeny were concentrated along smaller strike-slip and thrust faults that accommodated the internal fragmentation of the Benambra Terrane as it moved southward. No effects of the Bindian Orogeny are recorded in the Whitelaw Terrane of central and western Victoria. The Bindian Orogeny was followed by a second period of crustal extension that affected much of the eastern Lachlan Fold Belt. Bimodal (but dominantly felsic) volcanism occurred at several scales: in large riftlike basins where the volcanics are overlain by limestone, and in much smaller cauldrons. The largest rift-like basins in eastern Victoria are the Buchan Rift and the Mitchell Basin, with smaller basins at Errinundra (the Boulder "graben") and Bindi (the Bindi Syncline). 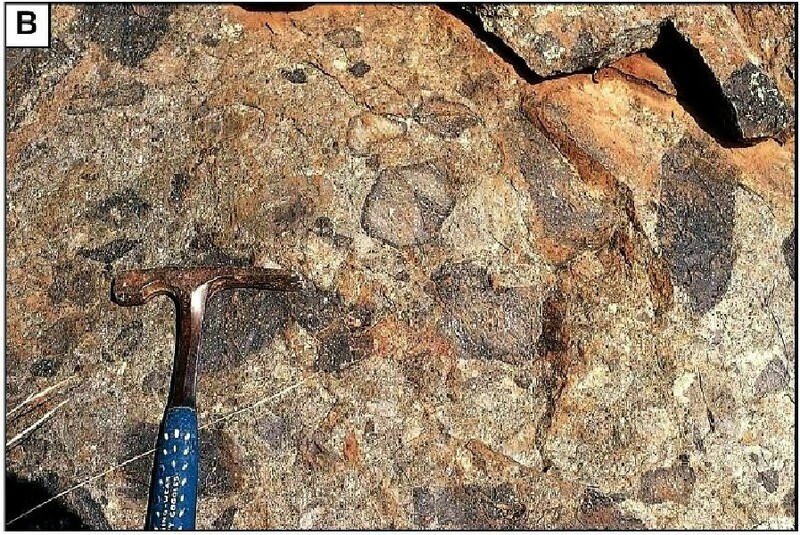 The thick but poorly dated Mount Tambo Group may also have been deposited at this time. Cauldrons formed at this time include the Mount Burrowa, Dartella, Besford, Mount Elizabeth and Mount Gelantipy. 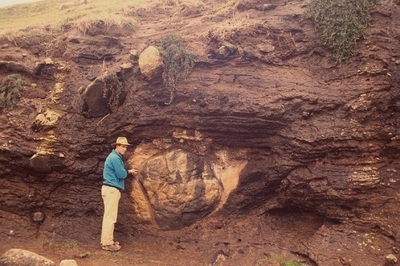 In the Buchan Rift there were two stages of rifting producing a mixture of volcanics and minor non-volcanic sediments (Snowy River Volcanics). Prolonged erosion was followed by a final phase of silicic to mafic volcanism and lacustrine sedimentation. Most of the sequence is subaerial, but in the southern half rifting and subsidence outstripped deposition, giving an important interval of submarine turbidites and dark shale. Pyroclastics, especially ignimbrites, make up much of the sequence but most are relatively thin. Sedolithic conglomerate and sandstone occurs at many levels, showing that the rift was a persistent topographic low and that rifting continued through the entire basin history. In the Melbourne Zone, sedimentation continued without break (Murrindindi Supergroup). Along its western margin, shoreline facies are present. These may be coeval with rare conglomerates preserved in the eastern Bendigo Zone. To the east, the sediments were mostly deep marine except on the Waratah Bay Platform on which very shallow marine limestone accumulated. Not until late in the Early Devonian is there any evidence of sediment supply from the cratons of eastern Victoria. This suggests that either there was a major barrier to the sediment coming west or the cratons were not in their present position with respect to the Melbourne Zone. 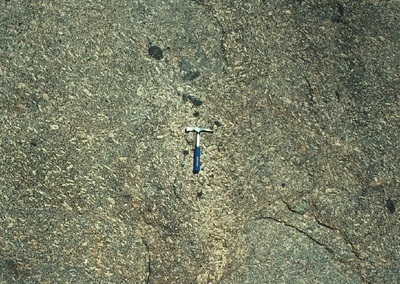 In western Victoria, numerous granites, mostly I-types, were intruded. On the Delamerian Craton, A-type volcanics (Rocklands Volcanics) were deposited over the already deformed and eroded Grampians Group. 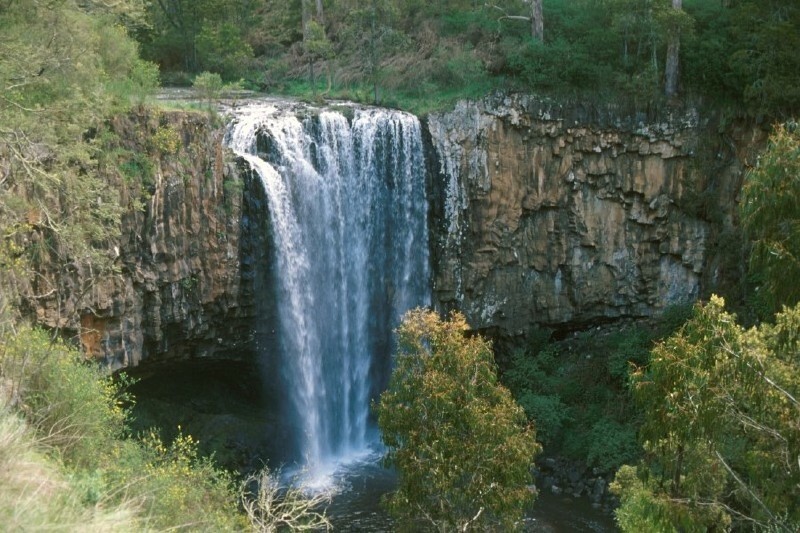 The Tabberabberan Orogeny was the first deformation that affected all parts of the Lachlan Fold Belt in Victoria. The orogeny marks the amalgamation of the Whitelaw and Benambra terranes and cessation of dextral strike-slip movement along the Baragwanath Transform. 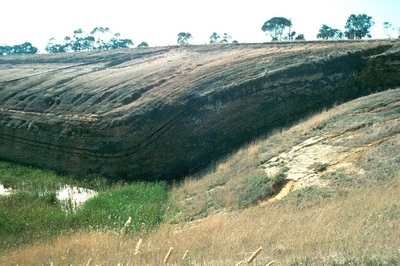 Its effects were most strongly felt in previously undeformed regions with thick sediment fills such as the Melbourne Zone, Mitchell Syncline, Boulder "graben" and Scrubby Creek Syncline. Deformation was also intense along the Governor Fault, the northern and eastern bounding structure to the Melbourne Zone. Within the Melbourne Zone, sedimentation ceased and the rocks were folded, generally into much more open patterns than the adjacent Bendigo and Tabberabbera zone rocks. In the areas already substantially cratonised in the Benambran and Bindian orogenies, the Tabberabberan Orogeny mostly produced isolated brittle structures that had little effect on the overall structural framework. The Tabberabbera Zone is probably the only exception to this. 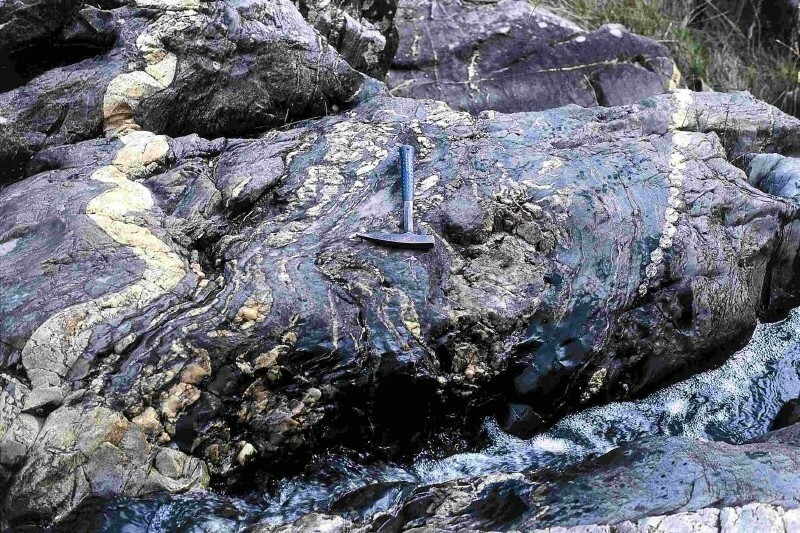 More ductile structures, such as minor folds and cleavage, affected the previously deformed bedrock in the south of the zone and strong faulting occurred along its western margin during amalgamation with the Melbourne Zone. In the Kuark and Mallacoota zones the effects of deformation are poorly dated and it is possible that some ductile deformation occurred. 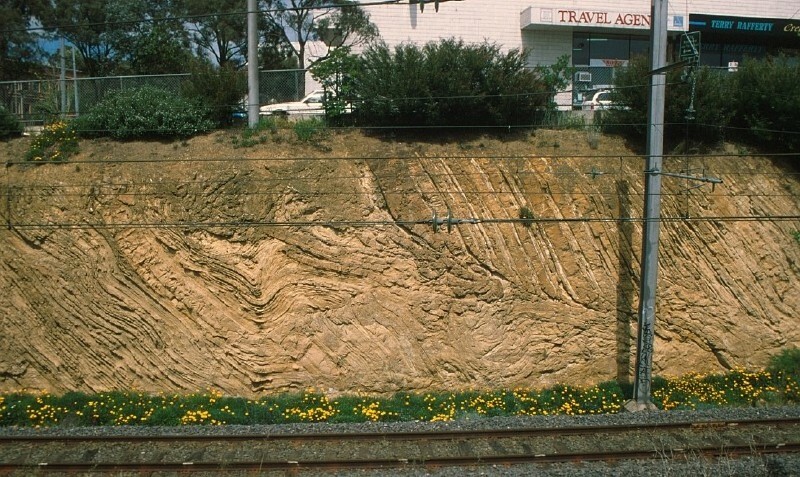 Many older faults were reactivated, including the Kiewa, Kancoona, Indi and Ensay faults and the bounding faults to the Buchan Rift. By the end of the Tabberabberan Orogeny, all of Victoria had been cratonised and the various crustal blocks were in more or less their present-day positions with respect to each other. Volcanism and sedimentation began during the waning phases of the Tabberabberan Orogeny. Upper Devonian rocks are widespread in central Victoria and preserved in several large synclines farther east. The strong palaeogeographic differences that had existed in the various structural zones prior to the Tabberabberan Orogeny are no longer in evidence. They are thus relatively uniform across the fold belt and ignore structural zone boundaries. However, two quite different provinces were formed. 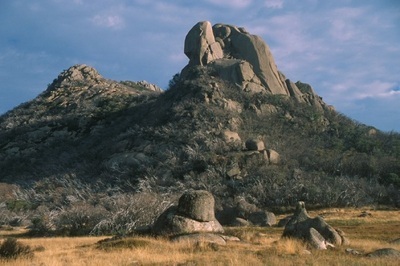 The Central Victorian Magmatic Province, which extends from the western edge of the Bendigo Zone across the Melbourne Zone into the westernmost Tabberabbera Zone, consists of granite plutons and silicic cauldron complexes. 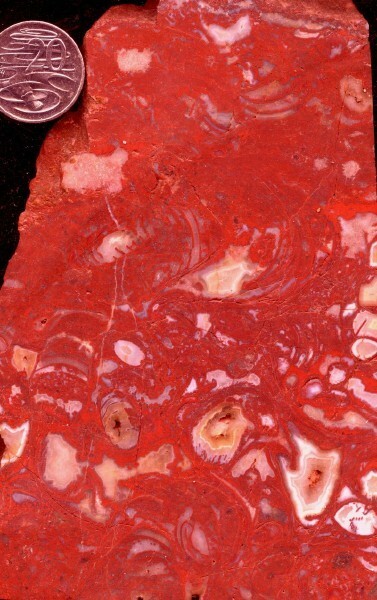 The Howitt Province, along the margin between the Melbourne and Tabberabbera Zones, contains a thick sequence of red-bed fluvial sediments and silicic volcanics and was originally connected with the East Gippsland Province where fluvial sediments predominate. The Upper Devonian – Lower Carboniferous red-bed sequences were folded and faulted in the Carboniferous—the age control on this event is very poor within Victoria and the deformation is, by convention, correlated with the Kanimblan "Orogeny" in New South Wales where it is considered to have occurred sometime in the Early Carboniferous. 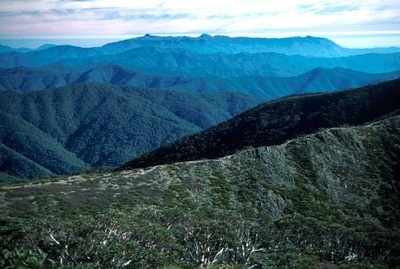 In Victoria the deformation was of somewhat different character in the two main outcrop belts, the Howitt and East Gippsland provinces. In the Howitt Province, Kanimblan structures have formed independently of the pre-existing structures and none of the Tabberabberan structures show Kanimblan offset, not even the Governor Fault. The probable reason is that Kanimblan structures originated as extensional structures during Late Devonian basin formation and were not able to employ pre-existing contractional structures. 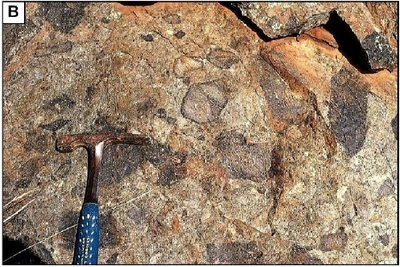 By contrast in the East Gippsland Province, Kanimblan faults are rejuvenated earlier structures, suggesting that there were no Late Devonian extensional structures available. After the Kanimblan Orogeny in the Early Carboniferous, all of Victoria went through a tectonically stable phase lasting until the middle of the Mesozoic era. No Late Carboniferous units are known in Victoria, and the State was probably an area of non-deposition. Victoria lay at a high latitude in the Permian, and adjacent parts of Gondwana were covered by continental ice sheets during this period. 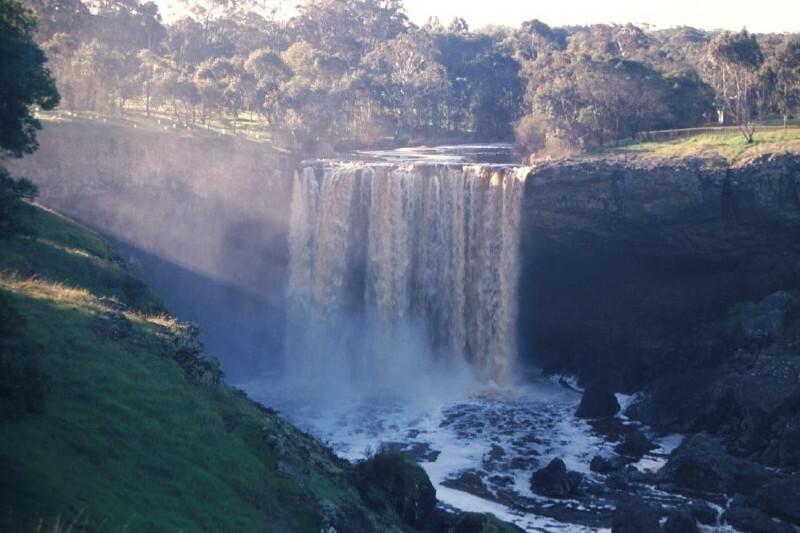 Deposits of glacial and fluvioglacial origin are scattered around the state, with outcrops around Coleraine in the west and Bacchus Marsh and Derrinal in central Victoria. 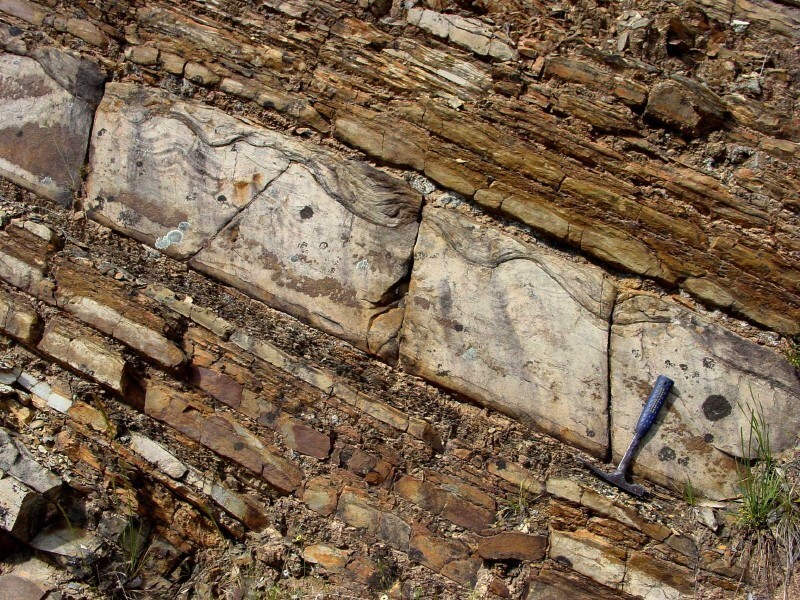 Permian sedimentary rocks also occur in several graben structures under the Murray Basin in northern Victoria (Netherby and Wentworth troughs in the northwest, Numurka Trough and Ovens Graben in the north). 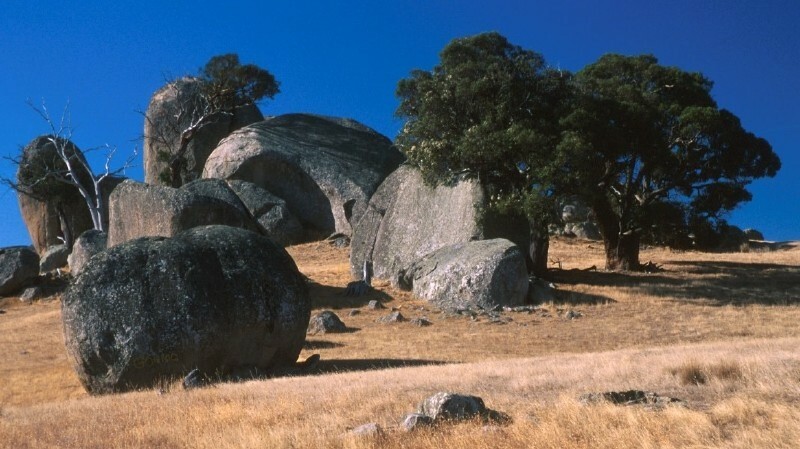 Outcrops in Victoria belong to the Bacchus Marsh Formation and include some classic glacial deposits of international significance. The most common deposit is diamictite consisting of boulders and cobbles of diverse rock types in a clay or sandy matrix. Rare varves also occur. Some deposits of conglomerate and sandstone are fluvial, and some are marine. Tillite deposited beneath, in front of and on top of glaciers is also present. Striated and faceted pebbles are common throughout the Bacchus Marsh Formation. A continental ice sheet probably covered most of Victoria at times during the Permian. Ice moved from south to north, and during retreat it left areas of fluvial outwash plains, while some areas were covered by shallow sea. 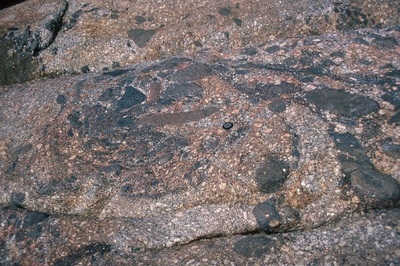 Triassic rocks are rare in Victoria, and it is assumed that little sedimentation occurred, with only mild denudation. 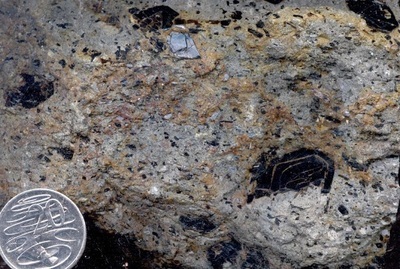 One small outcrop of fluvial sandstone occurs at Bacchus Marsh, and the other occurrences are several small syenite and granite intrusions and trachyte lava flows in the Benambra area of northeast Victoria. These constitute the Mount Leinster Igneous Complex, with radiometric dates of around 210 and 230 Ma. 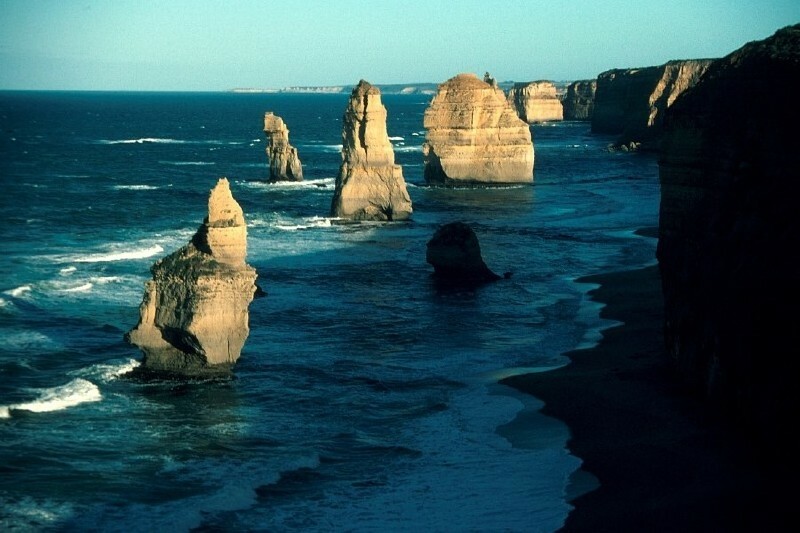 By the Early Jurassic Australia showed early signs of rifting from Antarctica. Perhaps the first indication of this process is the Coleraine Volcanic Group in western Victoria, consisting of alkalic basalt and trachyte. 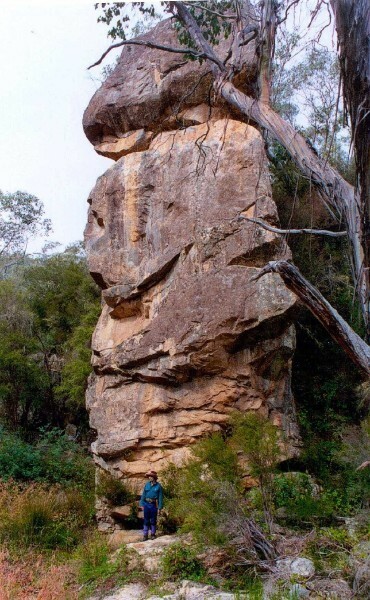 These are exposed on the edge of the Otway Basin, which along with the Gippsland Basin of eastern Victoria, marks the rift valley that developed during the Jurassic and Cretaceous periods along the southern part of Victoria. Jurassic rocks in the Otway Basin are restricted to the subsurface Casterton Formation of fluviatile sedimentary rocks and some interbedded basalt flows, marking the onset of continental rifting. No rocks of this age are known in the Gippsland Basin. 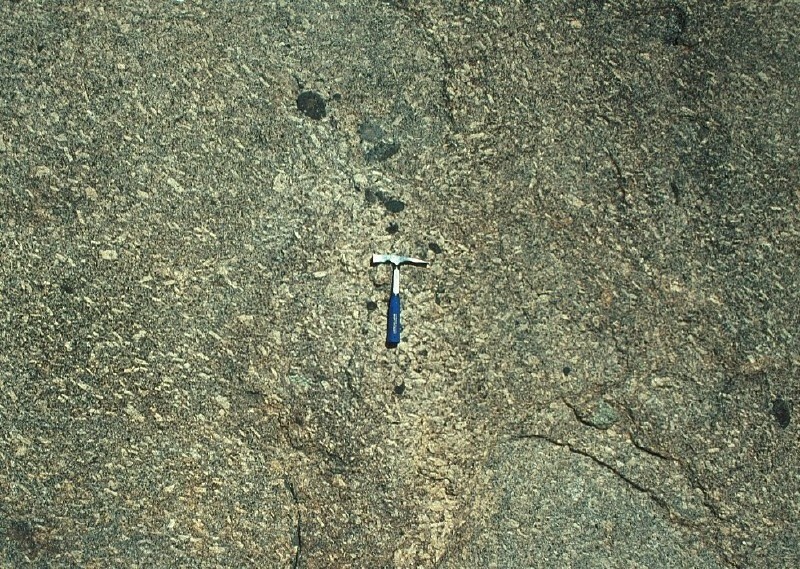 Some dolerite and lamprophyre dykes in central and eastern Victoria have been dated as Jurassic, and probably many of the thousands of similar dykes in Victoria are the same age. They may also reflect limited crustal stretching during the early stages of rifting. 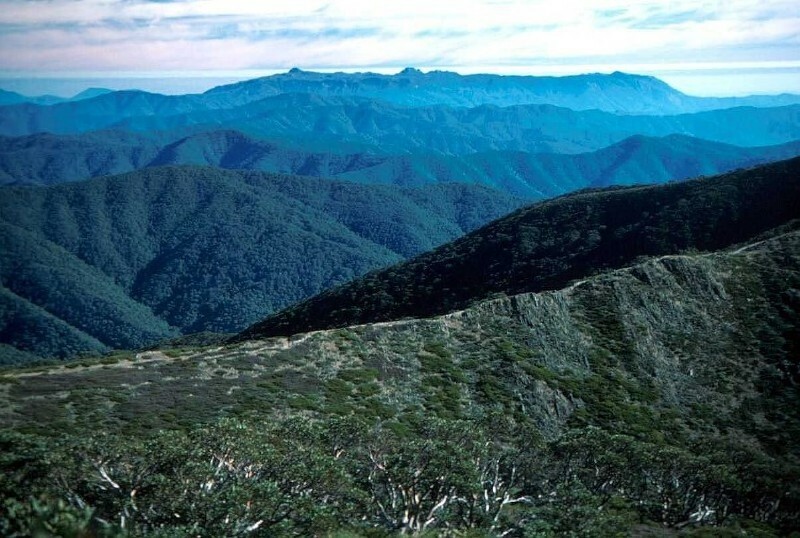 Thick sedimentary sequences of Cretaceous age occur in the Otway and Gippsland Basins, representing the fill of a deepening rift valley separating Australia from Antarctica (Otway Basin) and Australia from the New Zealand continent (Gippsland Basin). These units continue offshore under the continental shelf. Tasmania was also partly rifted away to form the Bass Basin underneath Bass Strait. 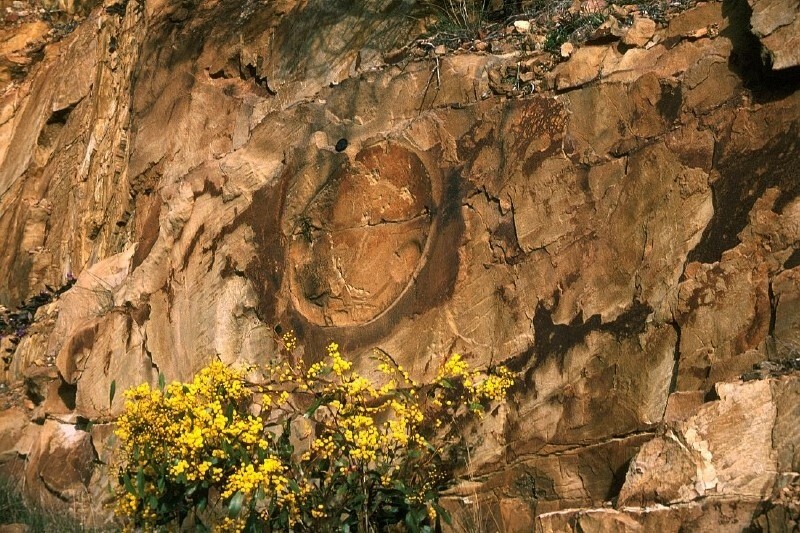 Early Cretaceous rocks are mainly fluvial sequences of the Otway Group in the Otway Basin and the Strzelecki Group in the Gippsland Basin. 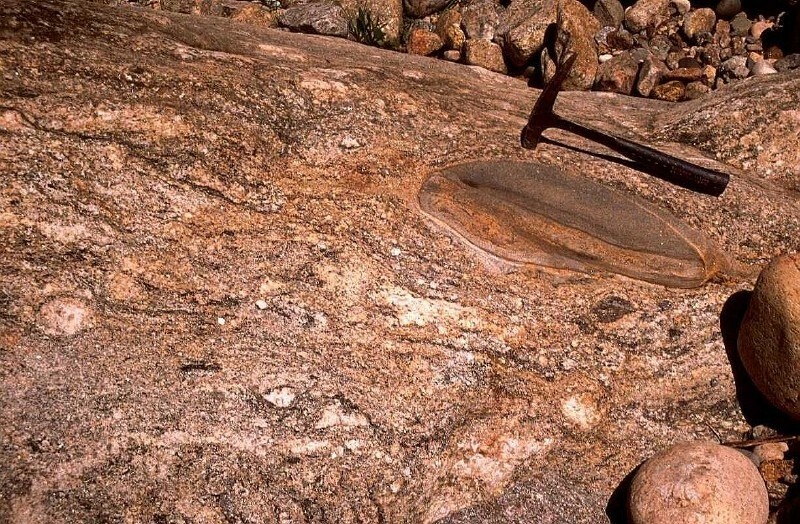 These thick units are cut by a network of normal faults, forming graben and half graben structures, that developed as the crust was stretched and thinned. 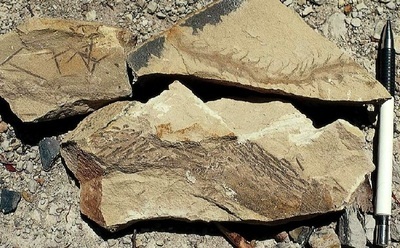 Important dinosaur fossils have been found in the Otway Group at Dinosaur Cove, and rocks of similar age in the Gippsland Basin at Koonwarra have yielded remarkable fossils of fish, birds, plants, insects and other invertebrates. 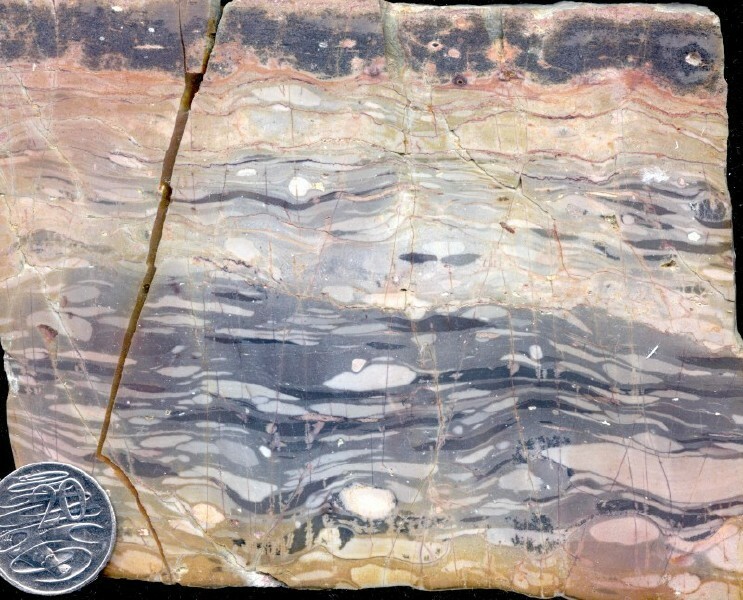 A mid-Cretaceous phase of mild basin inversion was followed in the Late Cretaceous by alluvial, deltaic and shallow marine units in the Otway Basin (Sherbrook Group) and Gippsland Basin (La Trobe Group). This episode marks the incursion of the sea into the rift (the sag phase of basin development), and the initiation of the Southern Ocean and the Tasman Sea. By the end of the Cretaceous a classic passive margin had developed along the southern coast of Victoria. Important oil and gas reservoirs are located in Cretaceous strata in the Otway, Bass and Gippsland basins, mainly in fluvial, paralic and deltaic sediments. The Palaeogene was dominated by deposition in three large basins, the Otway and Gippsland basins in the south, and the Murray Basin in the north of the state. Smaller basins in the central south of the state (Torquay, Port Phillip and Westernport basins) also received sediment in the Palaeogene. 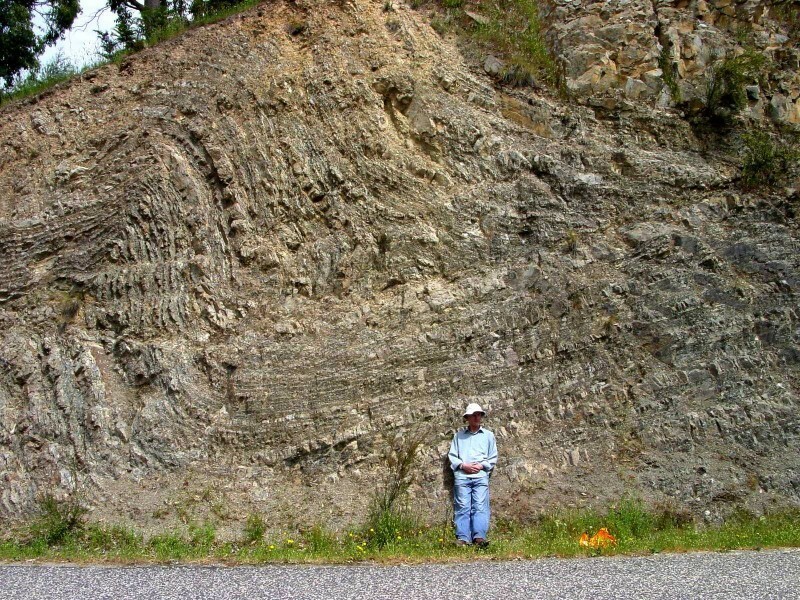 Basaltic lava flows of the Older Volcanics Group were erupted over much of the eastern half of the state at this time, covering fluvial gravel and sand deposits. The Otway and Gippsland Basins continued to receive sediments as they underwent thermal sag caused by Australia's drift northward away from the spreading ridge in the newly formed ocean to the south. 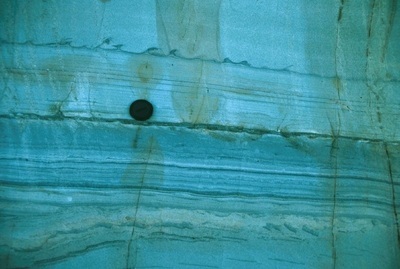 Sea-floor spreading in the Tasman Sea had ceased by the Early Eocene. A general trend from non-marine clastic deposition early in the Palaeogene to marine conditions late in the Palaeogene is seen in these basins. In the Otway Basin these units are dominantly littoral to shallow marine mudstone, sandstone and limestone of the Wangerrip, Nirranda and lower Heytesbury groups. In the Gippsland Basin the La Trobe, La Trobe Valley and Seaspray groups are the main Palaeogene units. The La Trobe Group (Palaeocene to Eocene) and La Trobe Valley Group (Oligocene to Miocene) are largely fluvial to deltaic siliciclastic sediments and coal measures, while the Seaspray Group (Oligocene to Pliocene) is composed of shallow marine carbonates. 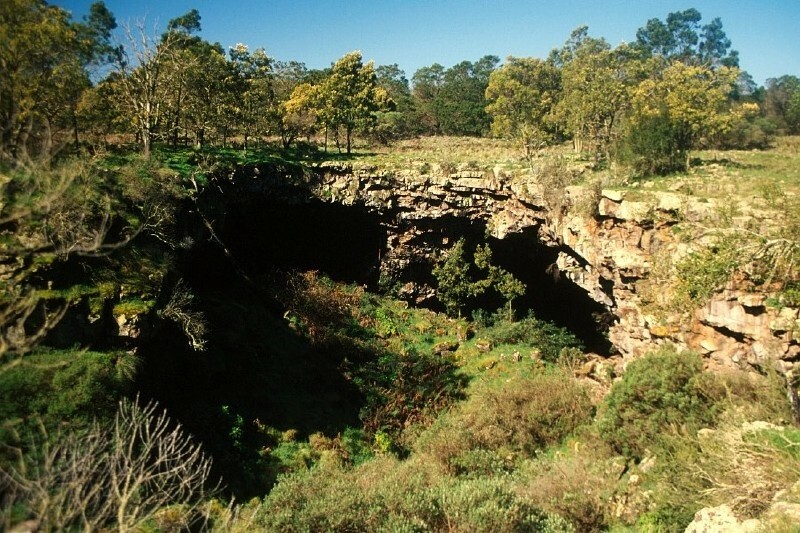 Within the La Trobe Valley Group are the giant brown coal deposits of the La Trobe Valley. The Torquay, Port Phillip and Westernport basins were predominantly fluvial and paralic in the Palaeogene, with the shallow marine Jan Juc Marl deposited in the Late Oligocene in the first two basins as subsidence continued. 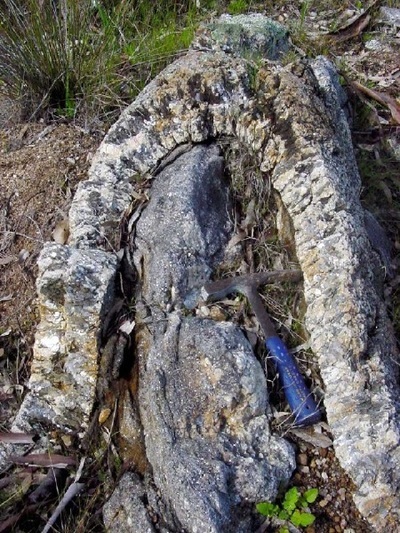 Large reservoirs of oil and gas have been found in Palaeocene and Eocene strata in the Otway, Bass and Gippsland Basins, within fluvial, paralic and deltaic sediments. At the beginning of the Palaeogene the Murray Basin was initiated as a broad downwarp in the north and northwest of Victoria, extending into New South Wales and South Australia. The first sedimentation in the Palaeocene and Eocene was fluvial and paralic, producing the Renmark Group. A marine incursion during the Late Oligocene gave rise to the Murray Group consisting of shallow marine limestone and marl. In the highland areas of central Victoria fluvial gravels were deposited in high energy rivers, giving rise to the White Hills Gravel in the Palaeocene to Eocene. This unit has some placer gold. This was followed in the Oligocene by the Loddon River Group, also known as the deep leads, which is a series of fluvial gravels and sands that have been covered by valley basalt flows of the Newer Volcanics. These are the main source of palaeo-placer gold in central Victoria. 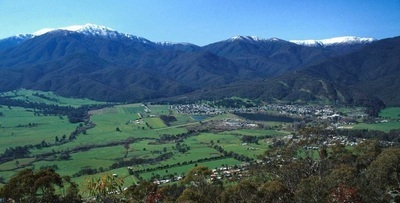 Mt Bogong (left) and the Bogong High Plains (right) were uplifted along the Tawonga Fault in the Palaeogene. The southern basins continued their passive margin depositional styles into the Miocene, with a sea level rise peaking in the Early Miocene. 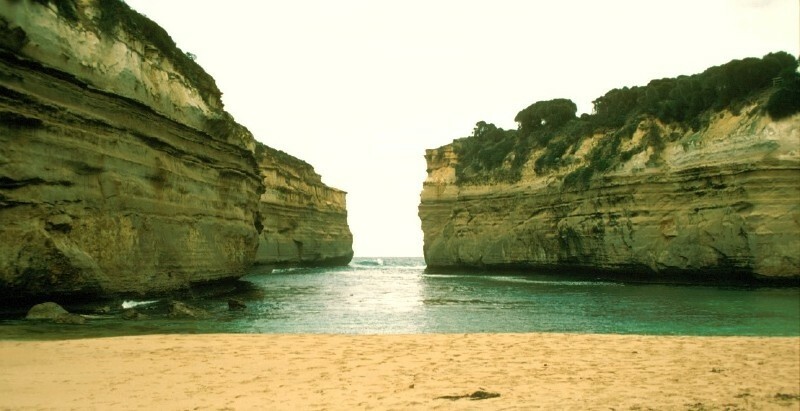 Carbonates of the Heytesbury Group were deposited in the Otway Basin, including the well known Port Campbell Limestone, seen in the Twelve Apostles and other features along the southwest coast. 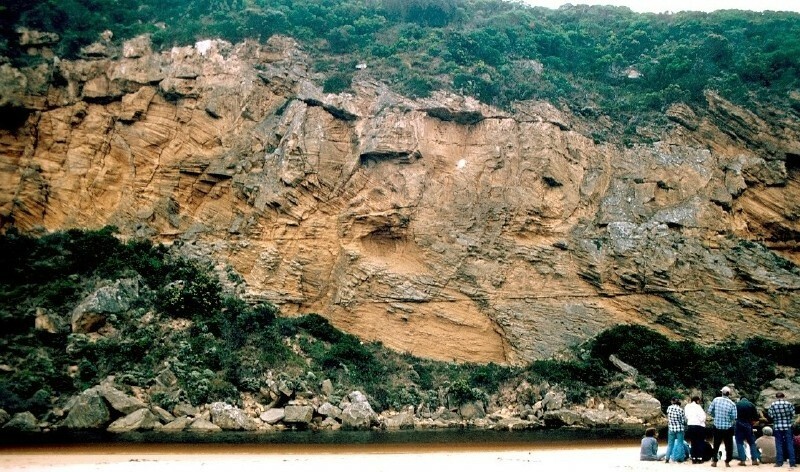 Minor tectonic uplift in the Late Miocene produced a break in sedimentation, followed in the Pliocene by shallow marine to beach deposits (Whalers Bluff Formation and Hanson Plains Sand) resulting from a marine transgression in the Early Pliocene. Basalt flows of the Newer Volcanics interfinger with Pliocene sediments at the northern edge of the Otway Basin. The Torquay, Port Phillip and Westernport basins had a similar history to the Otway Basin in the Neogene, with deeper marine carbonates in part, and paralic to fluvial deposition around the basin edges. The same Late Miocene uplift and Early Pliocene marine transgression recorded in the Otway Basin affected these basins. 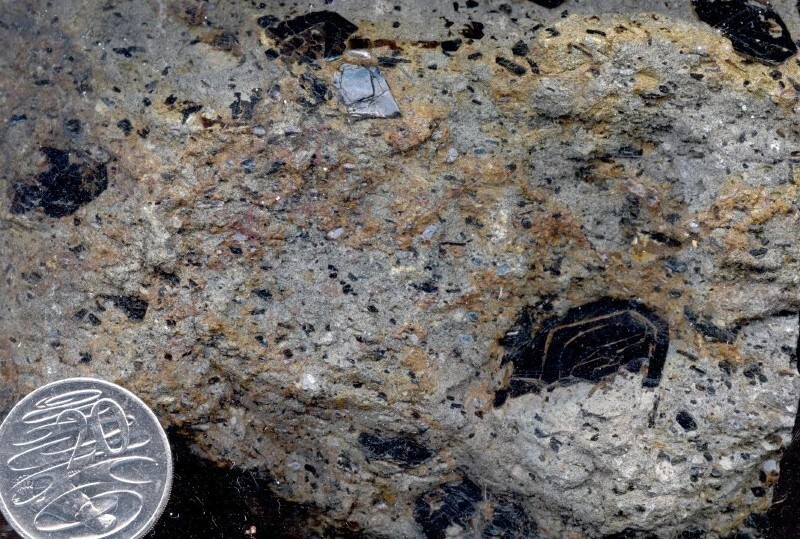 In the Gippsland Basin, clastic and coal deposition of the La Trobe Valley Group continued into the Miocene, and the more seaward parts of the basin accumulated the marine carbonates of the Seaspray Group into the Pliocene. Tectonic uplift affected the Gippsland Basin in the Late Pliocene, leading to an unconformity below the Late Pliocene Sale Group of marine to marginal marine clastics and carbonates. In the Late Pliocene to Pleistocene alluvial fans and floodplains covered much of the onshore basin, giving rise to the Haunted Hill Formation. 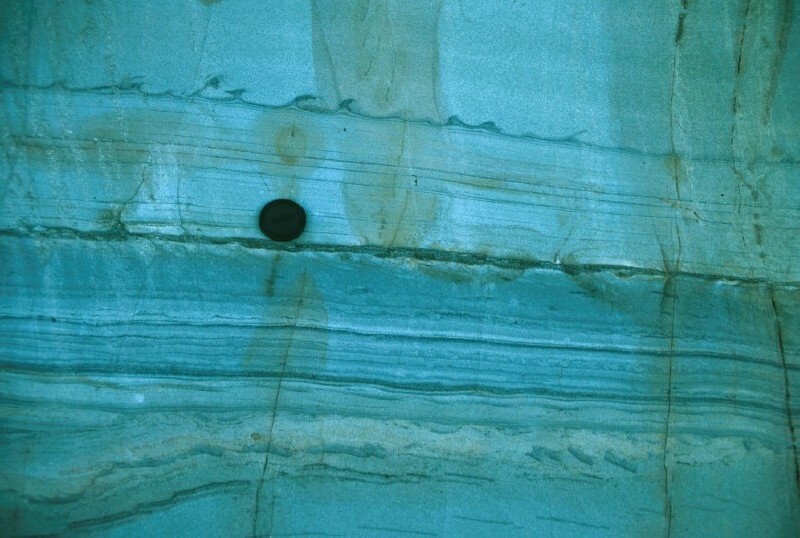 The Murray Basin was largely covered by a shallow sea in the Miocene, with carbonates of the Murray Group continuing to be deposited until the Middle Miocene. Eastern parts of the basin received fluvial sediments of the Calivil Formation. After uplift in the Late Miocene, the sea began to retreat in the Pliocene, leaving behind the beach and nearshore sands of the Parilla Sand. A huge system of parallel strandlines remains today, hosting valuable heavy mineral sand deposits. As the sea retreated, a thin sheet of fluvial sand and silt (Shepparton Formation) covered much of the basin in the Late Pliocene. During the Quaternary, deposition continued in the main basins in Victoria, with a declining marine influence. 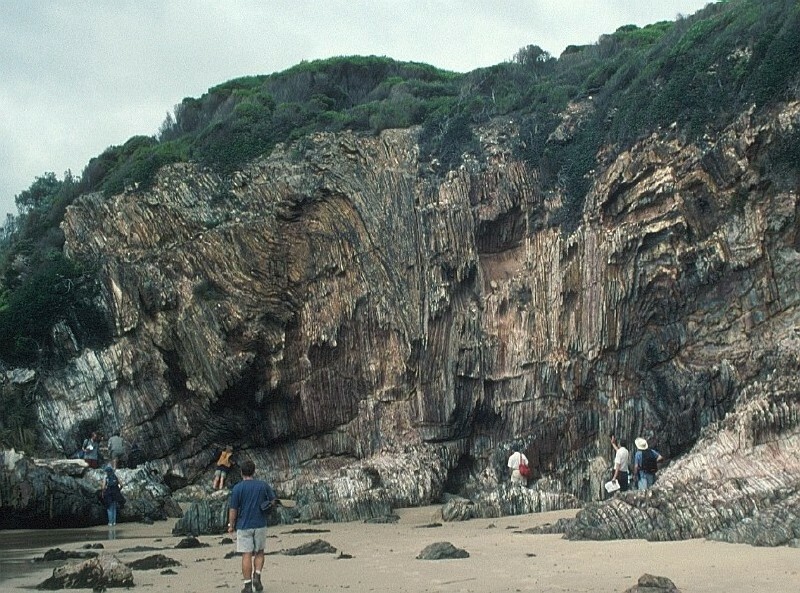 The Otway Basin was partly covered by shallow marine carbonates early in the Pleistocene, and as the sea retreated later in the Pleistocene the basin was covered by the calcareous beach dunes of the Bridgewater Formation. Dunes are now forming along much of the southwest coast. The Gippsland Basin was mainly alluvial in the Quaternary, with barrier deposits forming near the present coast. This style of sedimentation has continued as the current barrier beach system of the southeast coast. 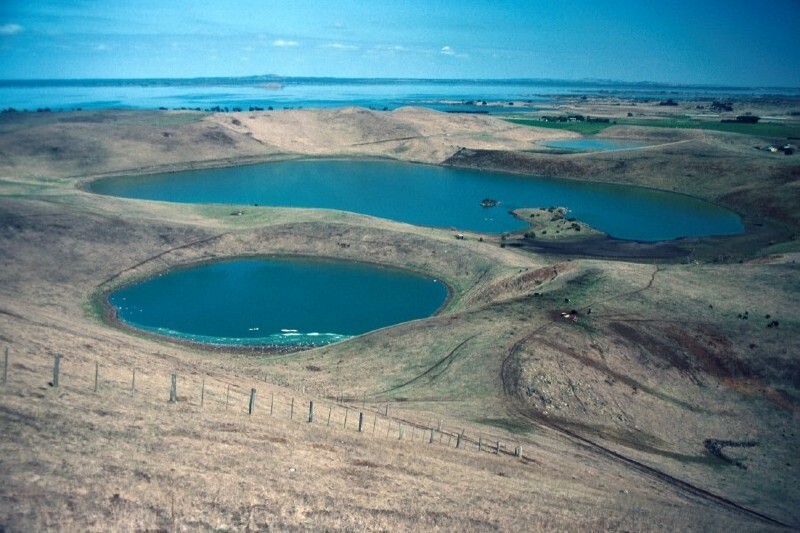 After regression of the sea in the Pliocene, much of the Murray Basin was covered by Lake Bungunnia, a large saline lake that deposited the Pleistocene Blanchetown Clay. Fluvial conditions prevailed in the southern and eastern parts of the basin. As arid conditions developed the lake dried up and sand was blown in from the west to form the Lowan Sand and Woorinen Formation. The large Western District Volcanic Province began in the Late Miocene and continued through to the present. 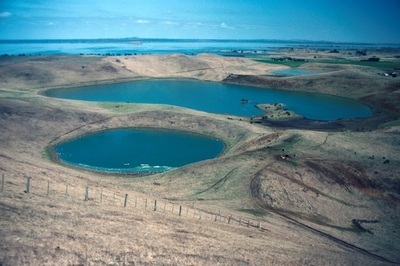 Much of western Victoria was flooded by flows of basalt, forming the volcanic plains. Many valleys in the highlands were also flooded by basalt. As well as lava flows, numerous scoria cones, lava domes, maars and maar complexes (such as Tower Hill and the Red Hill Complex) were formed. The youngest of these features, Pleistocene to Holocene in age, are exceptionally well preserved.